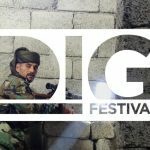 From June 23rd to Sunday 26th at the Cinepalace in Riccione, will be held the DIG Festival 2016. During the four days of high-quality formation for journalists, speakers among the best international reporters will hold more than 20 courses to promote continuing education. On Saturday 25th, Giovanni Maria Bellu (Carta di Roma), Alessia Giannoni (Cospe), Valerio Cataldi (TG2), Giovanni Ziccardi (University of Milano) will debate on “Hate speech: from quotation to comments, the difficult struggle against incitement to hatred”. The seminar will provide advice on how to manage hatred speeches made by politicians and public figures. In a round table, they will also focus on the best practices that online newsrooms should adopt to deal with violent and intolerant comments. Check the full festival programme to learn more about the event! The objective is to create open-source tools and resources for publishers of all sizes to build better communities around their journalism. Launched in 2014, The Coral Project is a collaboration between the Mozilla Foundation, The New York Times, and The Washington Post, and is funded by a grant from the John S. and James L. Knight Foundation. It’s a free web platform realized to promote a productive community, which creates software that publishers can use to better connect with their community, and that journalists can use to better connect with publishers. In the website they also collect, support, and share practices, tools, and studies to improve communities on the web. Useful tools are available on the website, for example a card game, to help people think about the structure of online communities. In the section dedicated to the community many contributors discuss about online communities, comment sections and journalism. Click here and get involved in The Coral Project!